Looking for R.W. 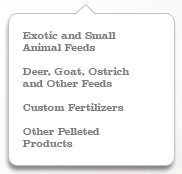 Milling Livestock Feeds? As a vertically integrated facility, RW Milling Company has developed expertise in rapidly bringing conceptual products through the development process and to the end consumer in a highly efficient and successful manner. As both a manufacturing and end packaging facility, conversion time and handling costs are minimized. Products are packaged with the greatest care and attention to detail ensuring each item is retail ready. Longstanding relationships with ingredient suppliers across a multi-state region allow RW Milling Company to source consistent supplies of high quality ingredient streams for use in their products. Vertical integration and strict adherence to quality standards, combined with manufacturing expertise developed over three generations, allow Norman and Chris to focus on delivering exceptional products and service at prices competitive to the market. Products manufactured by RW Milling are sold in all 50 U.S. States and internationally. 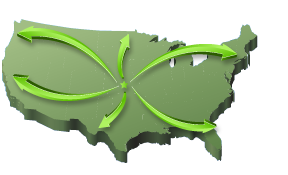 The manufacturing facility is centrally located for ease of distribution to all locations in the U.S.
You can count on us for innovation and consistent, high-quality service. With an industry-leading level of good-old-fashioned service, your products will be delivered as promised! RW Milling is a division of RWH Farms, Inc.